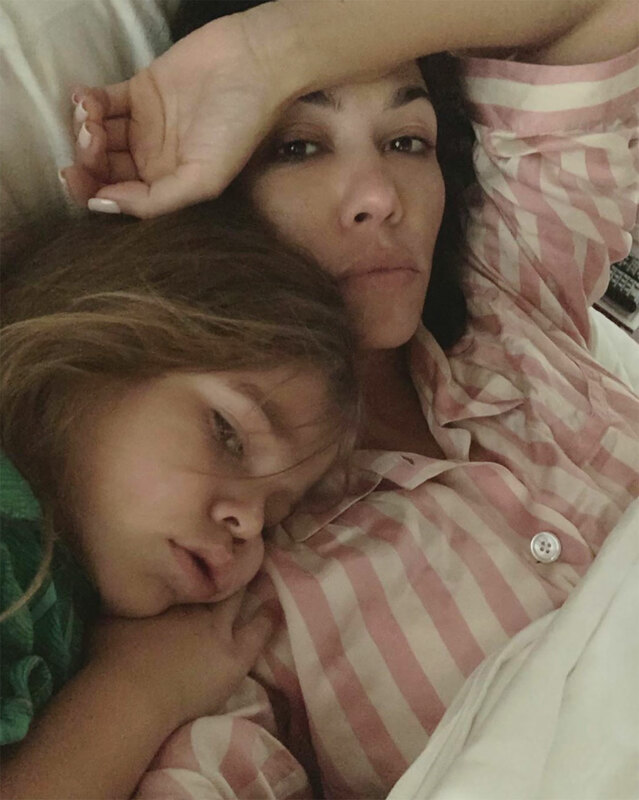 Kourtney Kardashian Shares Sweet Photo Cuddling in Bed with Son Reign: ‘Missing My Babies’ - Integration Through Media ....! Being away from your children is never easy. In the midst of her trip to New York City, where Kourtney Kardashian is enjoying Fashion Week, the Keeping Up with the Kardashians star, 39, shared that she missed being able to snuggle with her kids. “Missing my babies,” she wrote on Friday, alongside a shot of her son Reign, 4, adorably resting his head on her shoulder as the pair cuddled up together in bed in their pajamas. That night, her ex Scott Disick also shared a sweet photo with their daughter Penelope, 6. “Just me and my boo,” he captioned a photo of the pair posing together, adding a red heart emoji. The pair share three children, sons Mason, 9, Reign, and daughter Penelope. The mother of three has been attending various events throughout the Big Apple this week. On Wednesday, she stepped out with sister Kim Kardashian West as the pair wore a pair of revealing all-black gowns at the 2019 amfAR Gala, and two days later she hit the town with close friend Simon Huck. Kardashian also used her trip to N.Y.C. to advocate for cosmetics reform during an appearance on Today. During her appearance on the Today show, Kardashian also said she and her ex try to show a positive co-parenting relationship on KUWTK. Although the pair, who ended their nine-year relationship in 2015, have had their differences over the years, they’ve always prioritized their family. Kardashian has even been spending more time with Disick and his girlfriend Sofia Richie, 20, recently. Days before Christmas, the three went on a family vacation in Cabo San Lucas, Mexico, with the kids. “What more can a guy ask for. THREE’S COMPANY,” Disick captioned an Instagram shot of the trio relaxing on recliners. When a fan called the trip “co-parenting done right! !,” Khloé Kardashian agreed. “Beyond proud of all of them!!!! This is LOVE!! Your children before anything else!! All amazing adults right right!! !” she tweeted. A week later, Kardashian, Disick and Richie were spotted stepping out in Aspen, Colorado.